Sometimes, you need something you can take with you on the go after a good workout to help your body recover and your muscles to repair, and its rare to find something as convenient as the fruit burst flavoured Applied Nutrition Pro CBD Recovery Gel. 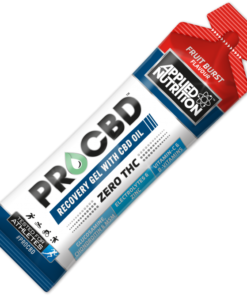 Containing a combination of electrolytes, vitamin C and a variation of B vitamins combined with zinc, these Pro CBD recovery gel bars are the perfect way to help you feel yourself again. 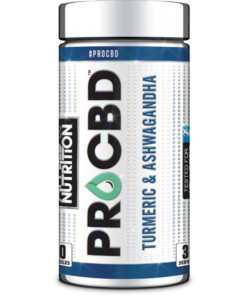 These gel sachets also contain the amino sugars glucosamine and chondroitin for tissue repair, but also methylsulfonylmethane to prevent joint pain and inflammation – all with zero THC. Each gel bar weighs 60g, and in each of these boxes, you get 20 separate individually wrapped bars. You can consume between 1-3 gels daily, but we do not recommend taking more than that. 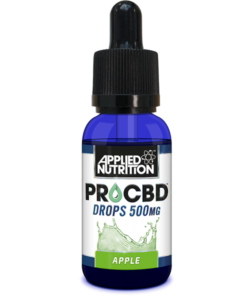 All Applied Nutrition Pro CBD recovery gel products are rigorously tested randomly in an ISO 17025 accredited lab to ensure that they are safe to use during competitions. 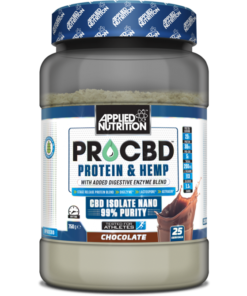 If you like the idea of trying Applied Nutrition Pro CBD Recovery Gel, but would rather try a single bar first, buy one here.